Rock and debris-avalanches are catastrophic failures occurring both on land and in the subaqueous environment. 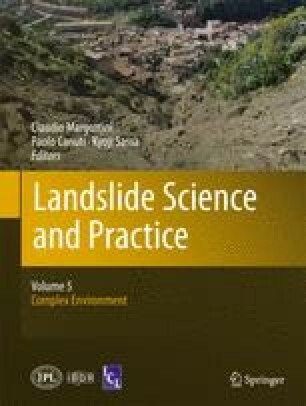 The apparent friction coefficient of subaqueous rock avalanches is significantly greater than that of debris flows of the same volume. We argue that this is the consequence of the presence of large fragments in a travelling rock avalanche, which affects both the drag coefficient and the capability of hydroplaning. We suggest that the presence of water damps the fragmentation of the subaqueous rock avalanches, as indicated by the presence of much larger blocks in the deposits of subaqueous rock avalanches compared to the subaerial ones. We present simple estimates to evaluate the disintegration rates during the flow in the two different environments and we found that this is strongly reduced in water mainly due to: (1) reduction of inter-granular impact energy; (2) smoother topography in subaqueous landscape; (3) lower velocities reached due to the water resistance. We acknowledge financial support from the CERI, Research Centre for Hydrogeological Risks, University of Rome “Sapienza”.